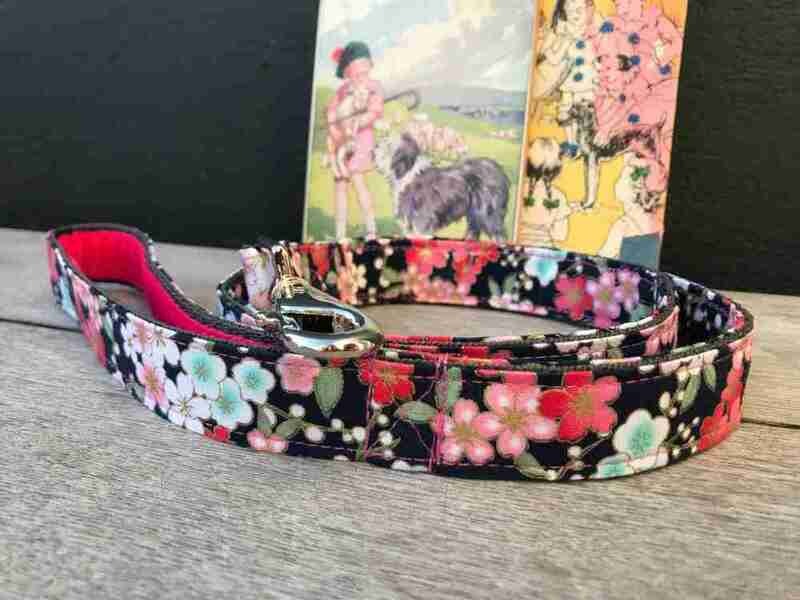 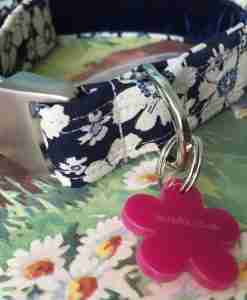 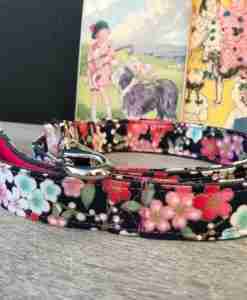 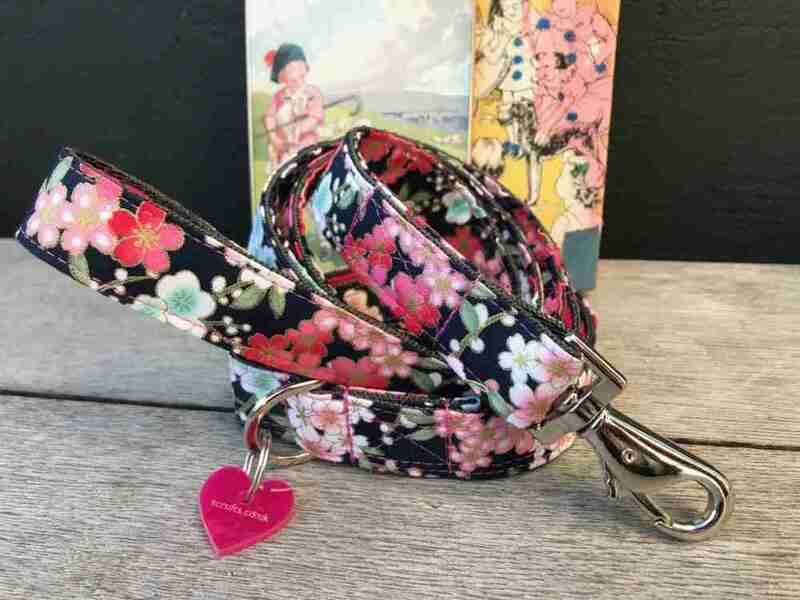 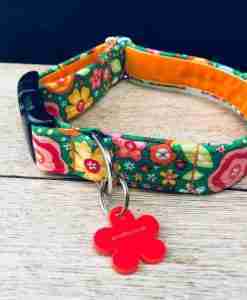 The gorgeous Kyoto Navy Floral Dog Lead with Pink Velvet Lining is a new design from Scrufts Central and it features pink Japanese blossoms on a rich contrasting navy background. 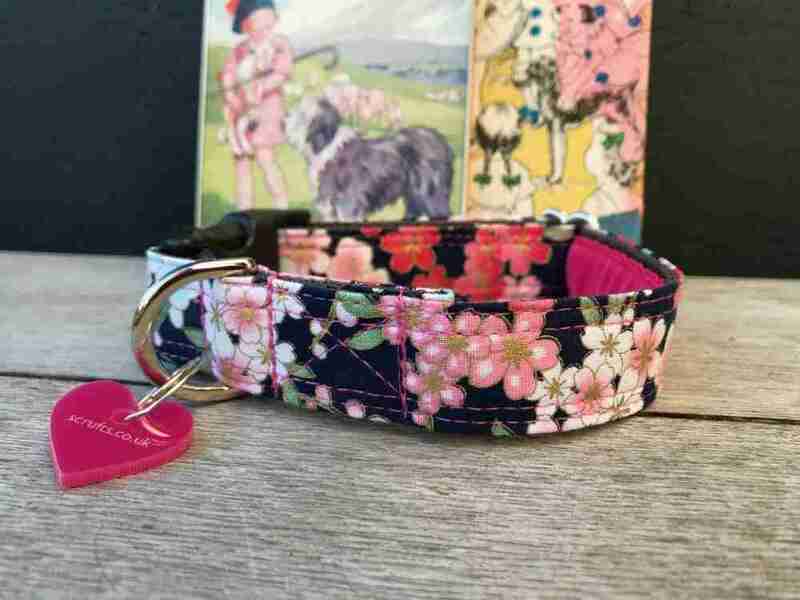 My Kyoto Navy Dog Lead is lined with a lux bright pink velvet for an enhanced walkies experience ! 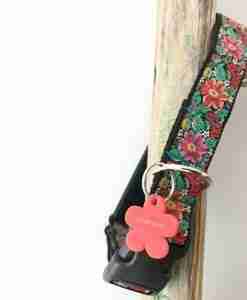 fetch ! 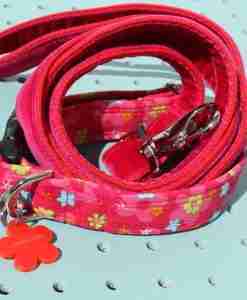 This Scrufts’ lead is 2.5cm wide. 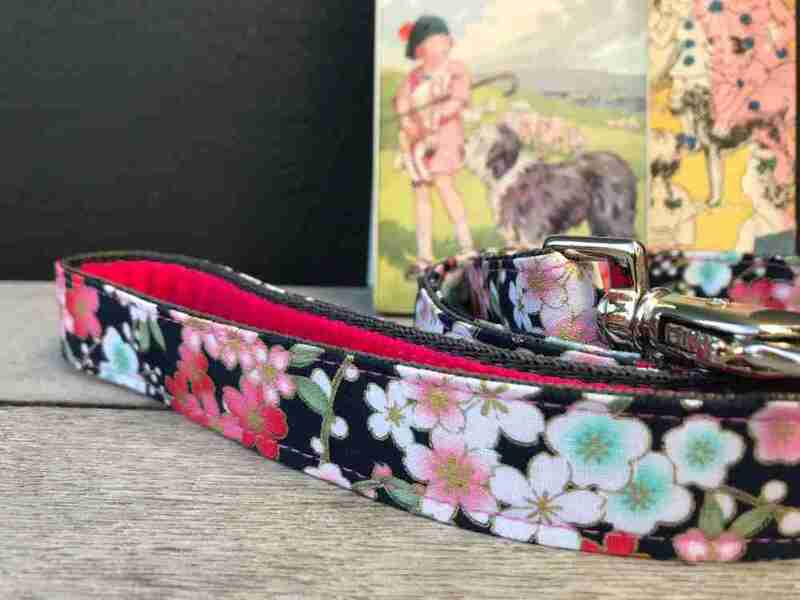 Your Kyoto Navy Floral Dog Lead is made using strong polypropylene webbing, hardwearing striped fabric, Swiss velvet, and a super easy to use lead clasp. 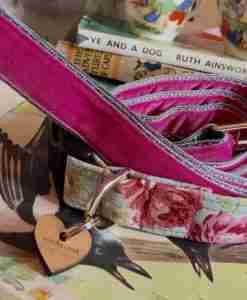 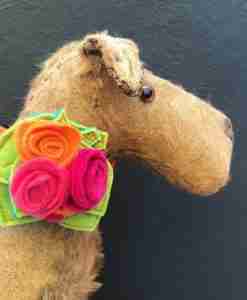 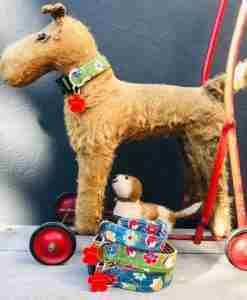 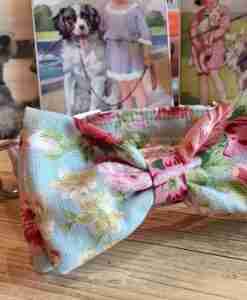 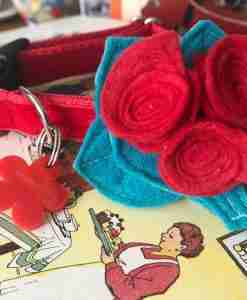 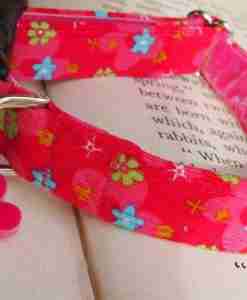 Each Scrufts’ dog lead is made with care in my sunny Brighton workroom. 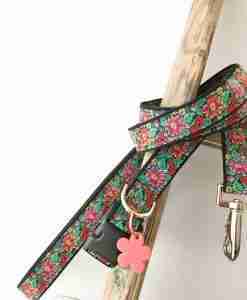 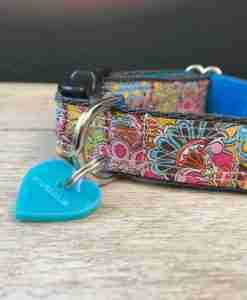 Please note that this lead is 1″ / 2.5 cm wide and is not really suitable for puppies or toy breeds.